First designed and used in 1977, the radiant cut for diamonds is one of the most brilliant cuts with its 70 shimmering facets. This has made it a favorite for engagement rings, especially among celebrity brides. If you have your heart set on a particular ring design, you can always create a custom ring with our design tool, beginning with selecting the radiant cut diamond of your dreams. Here’s how to capture the style of some of the most popular celebrity radiant cut engagement rings. Fifth time’s the charm! With her engagement ring from ex Will Kopelman, Barrymore’s fifth betrothal marked her most stunning ring yet. The 4-carat colorless radiant cut diamond looks flawless offset by a French-set band covered with diamonds. Barrymore’s ring allows her 4-carat stone to shine at the center, with the delicate diamond-encrusted band providing a glimmering base. To recreate Barrymore’s ring, select a pavé or scallop diamond setting with a radiant cut stone at the center. The pavé setting is closest to Barrymore’s with the higher sides providing the stones on the band with more protection. The scallop or petite pavé settings are also beautiful alternatives, with a slightly more delicate appeal (and typically slightly more affordable). Jenny from the Block has had her fair share of engagement rings, but none quite so memorable as her “Bennifer” stunner from fiancé Ben Affleck. J.Lo’s rare pink radiant cut diamond was worth approximately 2.5 million dollars and its 6.1 carat weight attracted almost as much gossip as their short-lived relationship. “Bennifer” may belong with the trends of the early 2000s, but elegance in jewelry never dies. Lopez’s ring remains one of the most beloved in history. The center stone was flanked by two side stones, offsetting and contrasting the unique pink diamond. Though pink diamonds are hard to come by, you can recreate J.Lo’s ring with a radiant cut stone placed in a baguette diamond engagement ring setting for a traditional look, or for something a bit different, try a center stone flanked by two emerald cut stones. If your heart is set on having that irresistible touch of pink, try a radiant cut diamond surrounded by pink sapphires. Khloe Kardashian and Lamar Odom have seen immense highs and lows befitting reality TV stars, but one constant is the stunning beauty of her 12.5 carat radiant cut engagement ring. Khloe’s ring is all about that jaw-dropping center rock, and the pavé-studded band on which it sits provides a dainty setting to give the radiant cut stunner center stage. While you’re unlikely to have a 12.5 carat stone in your budget, it is still possible to achieve this look. If you merely want a radiant cut stunner at the center of your band, consider splurging on your center stone for a bigger carat size and opting for a chic solitaire band. But if you want some of Khloe’s glam, you can surround your radiant cut stone with a halo of smaller diamonds to boost the appearance of the diamond size and add that extra sparkle. If you really want to recreate the Kardashian look, go in for a halo setting with a pavé-studded band for a ring with maximum bling. If most of us lost our engagement rings in the sand of a Hawaii beach, we’d be completely distraught — but for celeb Megan Fox, it just meant that fiancé Brian Austin Green replaced it with an even more stunning selection of a 3-carat radiant cut diamond set in a platinum diamond halo. Fox’s ring is easily replicable with a halo diamond engagement ring, featuring a radiant cut stone at the center and an elegant platinum band. Fox’s ring was accompanied with a diamond eternity band, and you can capture the glitz of her two rings in a single setting with a halo split shank diamond engagement ring. Or for eye-popping sparkle and brilliance, try a double halo setting surrounding your center radiant cut stone with two layers of pavé set diamond brilliance. 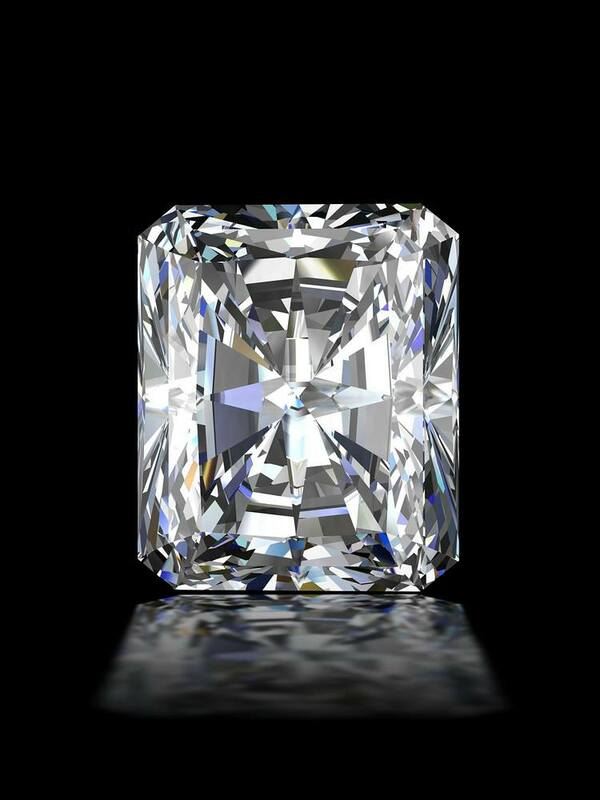 If you’re all about glamour and bling, a radiant cut diamond is your best option for maximum sparkle. Recreating one of these celebrity engagement rings with one of these options or a custom design will make you feel like a Hollywood bride.